Hi everyone and welcome. 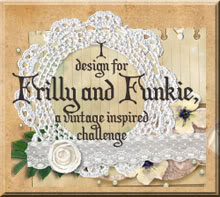 I was thrilled to learn from Chris at Crafts-Too Challenge You that I had been picked as a Top 3 Winner for the July challenge. What's more she asked me to create a little something for the challenge this month which is 'Texture'. The twist from 20th September to 3rd October is to add something shiny or glittery to your project. Actually this was rather therapeutic. I've had this rather lovely card stack (DCWV - The Timeless Type Stack) that has occasionally been taken out and stroked but not used. If I put it on a card it would disappear from my life forever! And it was way to gorgeous to let it go. Oh, get a grip woman! So the logical solution was to use it on something that would have a practical use and (more importantly) stay at home - happy days. The MDF box edges were painted black before the card was lovingly applied. I chose a different sheet for each side to get the maximum enjoyment when viewing. And then the box was put together (with a little help from my OH). Now the fun could begin - the decorating on the front, using offcuts from the same sheets used on the sides, each treated in different ways. Roughened edge strips of card were layered with (shiny metallic) lace, vintage lace, and inked seam binding to provide a base for the other embellishments. I also got to use a Crafts-Too script washi masking tape which matched perfectly. Then black texture paste was stencilled through a chequerboard mask over the top. The flowers were scrunched to give a vintage feel and each had a different button used in the centre - and I was even able to use some of my favourites (more therapy). Some die cut branches and two types of leaves were added, with the larger leaves being embossed and stained with a metallic stain for extra shine. And finally I added more shine with the addition of a key, lock and buckle courtesy of the Crafts-Too vintage range again (highly recommended). 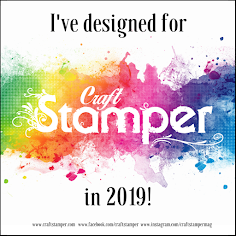 So there you have it - or rather I do (she says, grinning from ear to ear) and some of my stamps now have a new and more glamorous home. Now I just need to get the other one done. 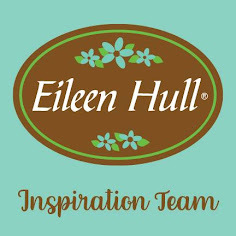 While I plough on with that why not take a look at the wonderful projects created by the Design Team HERE for more inspiration and make something for the challenge yourselves. Unruly Paper Arts have a '3D wooden project challenge' running to September 25th (with voting from September 26th to 30th) so I will be entering, and would be thrilled if you would vote for me. See you back here soon with a more autumnal theme. Hi Jenny, saw this on the C2CU blog and had to come over and take a closer look. I love it, absolutely stunning. Do you have any idea where the 'blank' came from as I also have a DCWV pad that will never be used on a card, it has to stay with me - yep I'm a paper stroker too. Stunning storage Jenny...... Yep I share your feeling of loving certain papers. I am like this with G45 sheets. Wow! What a beautifully altered project! I love all the flowers and metal trinkets! What a gorgeous transformation Jenny, from a storage box to something to feast your eyes on every time you need a treasured stamp. I keep some of my stamps in a not to pretty garden box but after seeing how beautiful yours looks I want to revamp and use some of those G45 strokeables. Hey there! Someone in my Myspace group shared this site with us so I came to give it a look. Im definitely enjoying the information. Im bookmarking and will be tweeting this to my followers! Wonderful blog and outstanding design. Oh Jenny what a wonderful transformation!! Gorgeous and I have to say I am loving the look of those boxes!! The embellishments look wonderful and what a great place to sore your stamps... (hanging my head in shame, - I would probably need about 30 of those boxes to store my stamp collection...)Oh and congrats of course on being Guest Designer!! Storage has never looked so good! Jenny, I love the transformation and those flowers and embellishments are gorgeous! Congratulations on the GDT spot! Enjoy the week! Congratulations on the guest DT!! I'm totally loving your altered box. What a gorgeous way to store your stamps. Brilliant! Using papers that you dearly love in this way is a perfect idea, as you say, on a card it disappears forever. That is a gorgeous box for your craft room! I love the papers and embellishing. Great idea and very well done. Oh! Wow! I love, love, this fantastic storage solution. You have made a terrific job of altering it. This is somthing that really appeals to me. Very pretty! Love all the great details! Thanks for playing with us at UPA! Your transformation of a few bits of mdf into a wonderful art container is masterful Jenny! The colour combo and textures sit perfectly together. Congratulations and I love this piece. How naughty of you to add a link, now I have to go and shop! That's a wonderful idea :) A fabulous piece of art. I love the papers you used! Your basket to store stamps is fabulous...so gorgeous! How funny that this box matches my interior too....awesome!!! ;) LOL It's truly a gorgeous creation and brimming with the best of the best embellishments. You forgot nothing.... 'cept maybe my address. KIDDING!! :) Love it! This is stunning, I love the transformation you came up with. It's beautiful. Thanks for joining us over at Unruly this month. "If I put it on a card it would disappear from my life forever!" You are too funny - a true paper addict! Hi Jennie, just been on a catch up! Stunning storage - great way to 'use and keep' thoses papers.